KARMYOGI EKATM GRAMIN AVEM RASHTRIYA VIKAS SANSTHAN is located in indore Madhya Pradesh . KARMYOGI EKATM GRAMIN AVEM RASHTRIYA VIKAS SANSTHAN is registered as a Society at INDORE of state Madhya Pradesh with Ngo unique registration ID 'MP/2009/0017702' . 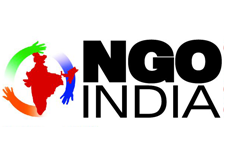 The NGO registration is done by Registrar of Societies with registration number IND/7337 on the date of 15-12-2003, Its parent ORganaisation is PaulFoundation. The Chairman of KARMYOGI EKATM GRAMIN AVEM RASHTRIYA VIKAS SANSTHAN is MRS Varsha Jain and Chief functionary officer is Ankit jain. Promoters are Bhawna Agrawal, JAGDISH SINGH, ,. The ngo is involved in conducting awareness programmes on jaivik krishi / organic farming among farmers of the state .The ngo has also taken different aspects of rural development,women empowerment.worked for oldage homes.the ngo also conducted health awareness programmes in some villages of the states.